sprinkles, sugar or pipe royal icing. Preheat the oven to 350 degrees. 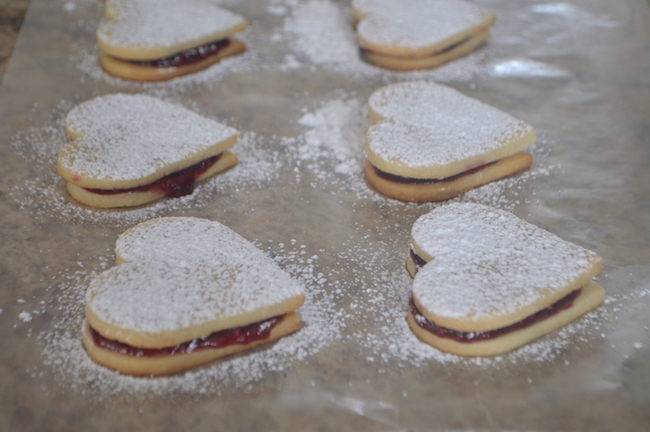 Lightly grease cookie sheets or line with parchment paper. 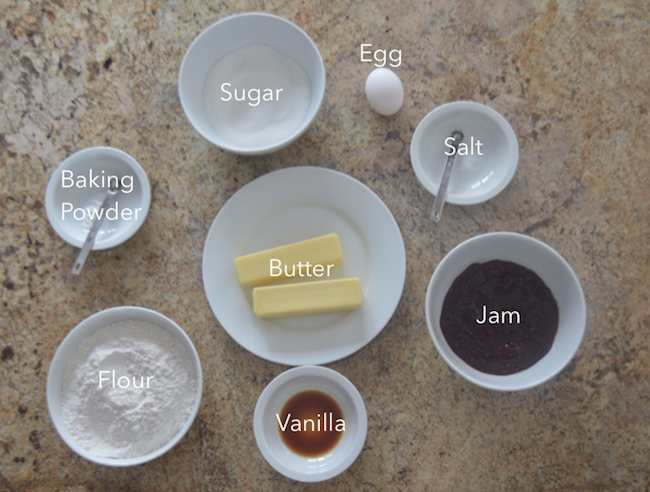 Using an electric mixer, beat butter and sugar until fluffy and well blended. just slightly colored on top and slightly darker on the edges. 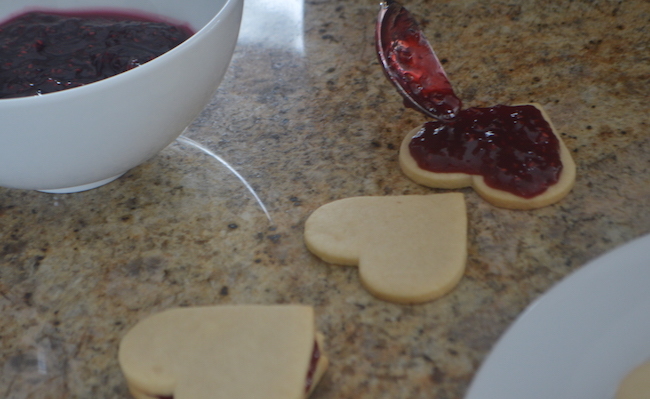 Put jam between 2 cookies. 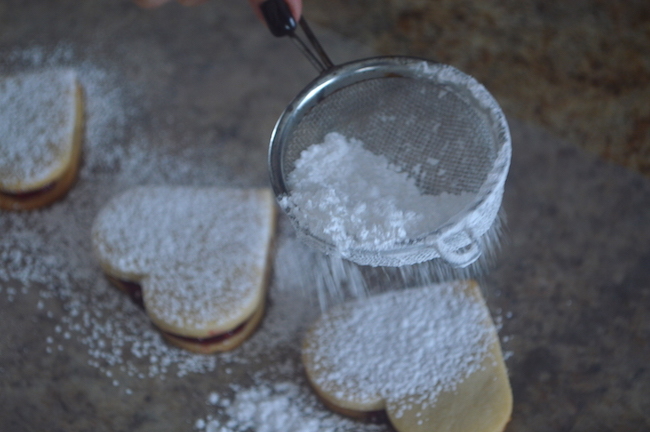 Dust with confectioners’ sugar or decorate with icing. Store in fridge for one to two weeks. Preheat oven to 350 degrees. Lightly grease cookie sheets or line with parchment paper. Using electric mixer, beat butter and sugar until fluffy and well blended. Add egg, baking powder, salt, and vanilla until evenly incorporated. Stir in flour until well blended. Divide dough into three equal balls. Place each ball between large sheets of wax paper. Roll out until about ¼ inch thick, checking the underside frequently and smoothing out any creases. Keeping the wax paper in place, refrigerate for 20 to 30 minutes or until cold and slightly firm but not hard. 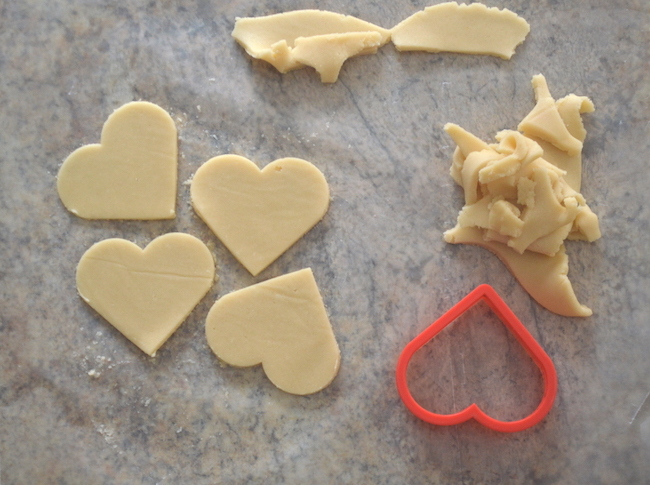 Working with one portion of dough (keep the rest refrigerated), gently peel away 1 sheet on wax paper and cut out cookie shapes with cookie cutter. 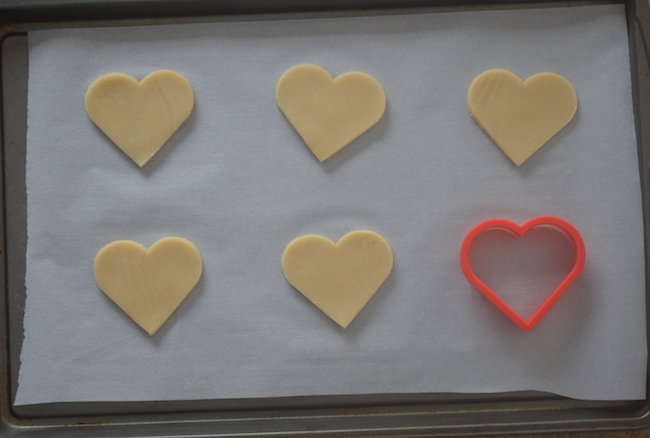 Remove the scraps of dough and then with a wide spatula, carefully transfer the shapes from the wax paper to the cookie, spacing about one inch apart. 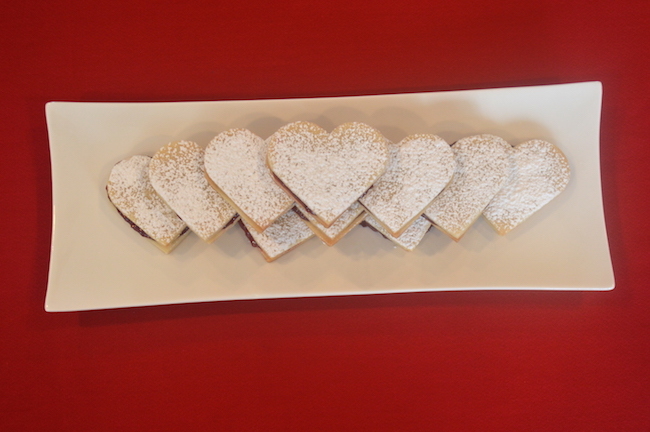 Roll any dough scraps between wax paper and continue cutting out cookies until all the dough is used. If the dough becomes too warm to handle at any point, refrigerate again briefly. 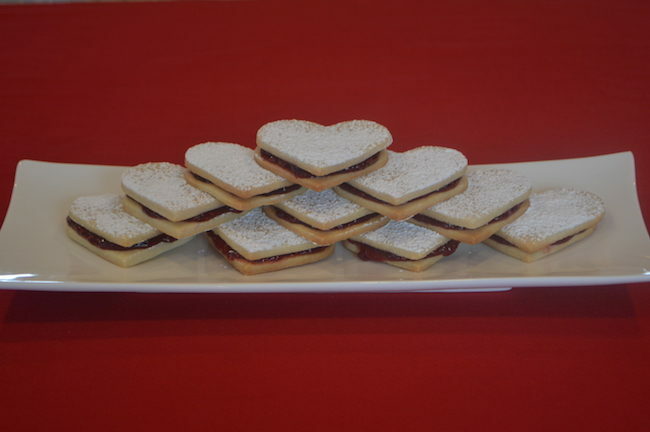 Bake, 1 sheet at a time, in upper third of the oven for 6 to 9 minutes, or until cookies are just slightly colored on top and slightly darker on the edges. Cool cookies completely. Put jam between 2 cookies. 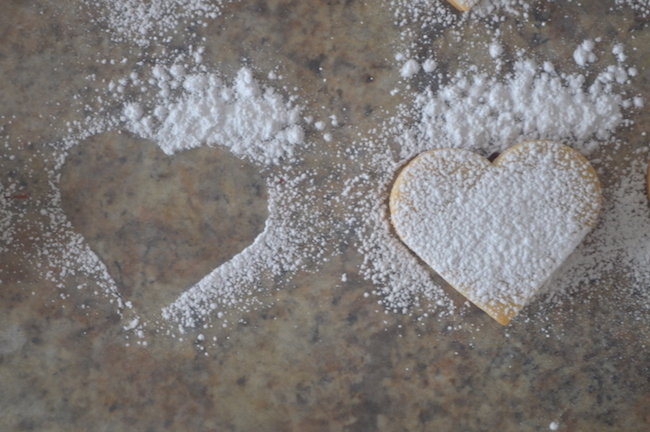 Dust with confectioners’ sugar or decorate with icing.